Kids can be picky when it comes to taking their vitamins. AlternaVites are the perfect solution. Be sure to check out our AlternaVites Vitamin Review to see what we think of these multivitamins. Our sponsor, AlternaVites is giving away $100 in Amazon Gift Cards to a lucky winner! Enter to win below! Good luck! Forget chalky chewables and sugary gummies vitamins that are often missing nutrients and are prone to sticking to children’s teeth. 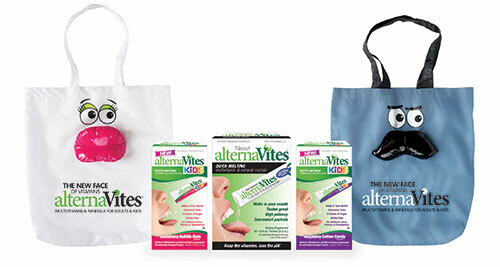 Jam packed with nutrients kids need, but without the sugar & additives they don’t, new alternaVites Kids multivitamin & mineral will have moms and kids cheering! The Giveaway will open up on 9/17 12:01 am EST and Close on 9/20 at 11:59 pm EST. I have never tried these vitamins, but I will be looking into them. My son has problems taking vitamins he has to swallow whole, so I’m hoping this will be an option for him.